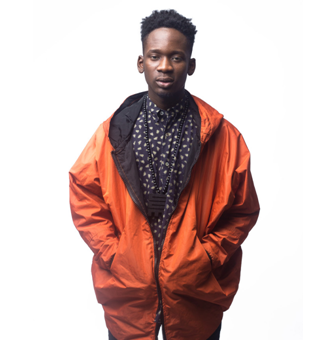 The biography of Mr Eazi who has taken African Music by storm! 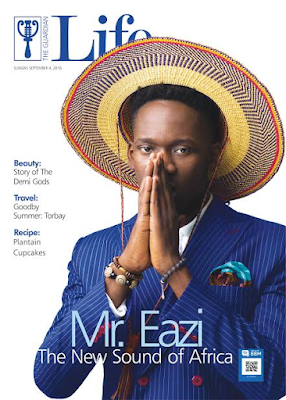 Mr Eazi biography.If you haven't heard of or danced to Mr Eazi's Skin tight or Sample you song,then you can't really be a bif Afro Beats fan.In little than a year,this young Nigerian has taken the African music world by storm! where he was embarking on his University studies. Feast through this entertaining interview that works out as a biography of the music star. The thing is that I went to school to study Mechanical Engineering because I thought that was the only way of making money. When I get into school, I found out that the students there loved luxury, so I used my school fees at the time which was $5,999 to buy a car that was used like an Uber. The taste of that entrepreneurship sparked something in me and I decided that I didn’t want to be an engineer, I wanted to own my thing and control my own flow. I created Swagger Entertainment in Ghana which pioneered the party culture in Kumasi, Ghana and all of this was done in my 2nd year. I did that till my final year and that gave me a strong relationship with top acts in Ghana and Nigeria. That took me from mechanical engineering to events, which took me to the studio and I started recording in my final year. I worked with Schlumberger in Nigeria when I graduated. I was good at it, but it was not for me and I felt like I could do something bigger. I went back to Ghana for my MSc and I knew that was the only way for my parents to give me time to follow my dreams. My classes were on the weekend so that gave me ample time. I started with importing La Casera to Ghana but I wasn’t experienced in business and it became boring because of the profit margin and the stress involved. I got introduced to mining which was influenced by my MSc thesis and it piqued my interest. I was so fascinated and spent most of my time breaking the ground and mining gold which was very lucrative. I felt it could be bigger so I took a loan of $100,000 from a V.C but the V.C became greedy and that ended that relationship. I started the sharwama business because there was no sharwama in Kumasi. I got people to make the sharwarma from Nigeria and that quickly became a huge success. At that time, the gold money stopped because the government legalized it and I didn’t want to get into trouble with the law. The recent development gave me time and some friends took me to the studio and we recorded my first E.P About To Blow in one week which had Bankulize. Towards the middle of 2014, I decided to return to Nigeria and the opportunity came while I was looking for investment for my mining, because I needed $100,000 to do mining with equipment. I started searching the internet and I ran into a fund by 440NG but they only invested in the tech businesses. I met a friend who was doing a phone business and we rebranded it to an e-commerce platform and we got the initial investment funding, but my partner got greedy and we had a falling out. I had to step out of that business and I started my business Phone Trader in partnership with Airtel and by L5Lab. 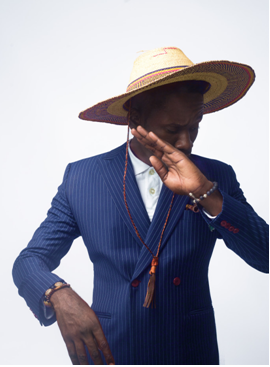 It was in-between starting my own business that Jules came through with what he had done with Bankulizeand it was getting massive airplay in Ghana. 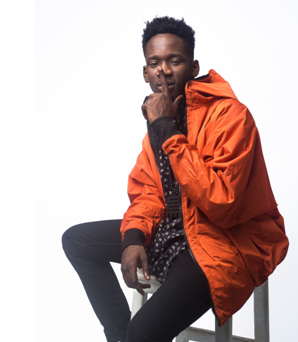 I didn’t go back to Ghana till December 2015 for Sarkodie’s show where he invited me to perform (between that time we had droppedBankulize and Skin Tight), so I got on the stage and people were screaming and I was amazed. I was still doing my business, and it wasn’t until we went on our first tour in March that I realized that this was really happening.